With LJP's demands finding support among Dalit groups and they panning a nationwide protest on these issues planned on August 9, JD(U) is afraid of losing the support of Bihar's Dalits. PATNA: Trouble mounted for BJP as its main Bihar ally JD(U) on Saturday came out in support of LJP's demands for undoing the Supreme Court's "dilution" of the SC-ST atrocity law and removing Justice (retd) AK Goel as NGT chairperson. Sensing the rising resentment among Dalit voters in Bihar towards the BJP-led NDA, the Nitish Kumar-led JD(U) said the two demands put forth by Union minister Ram Vilas Paswan's LJP are justified. With LJP's demands finding support among Dalit groups and they planning a nationwide protest on these issues planned on August 9, JD(U) is afraid of losing the support of Bihar's Dalits, who form 16 per cent of the electorate. "The demands are sensible and justified. If Dalits choose not to vote for NDA, what will happen to the alliance? The government is for the poor. Should we not be addressing their issues first?" asked JD(U) national general secretary KC Tyagi. Reminding that the strict law was framed by "leaders such as Ram Vilas Paswan, Lalu Prasad Yadav, Sharad Yadav and others under the leadership of VP Singh," Tyagi said it was "only natural" that changes in the law would evoke protests from leaders irrespective of political affiliation. "Considering the still deplorable condition of Dalits and the rising atrocities against the across the country, this law needs to be further strengthened. The need of the hour is to make Dalits feel safe," said senior JD(U) leader Ashok Chaudhary, a former education minister. LJP has set the an August 9 deadline for the Narendra Modi-led central government to restore the SC/ST (Prevention of Atrocities) Act, 1989 to its original form and remove Justice (retd) AK Goel, one of the Supre Court judges who had passed the order, as chairperson of National Green Tribunal (NGT). 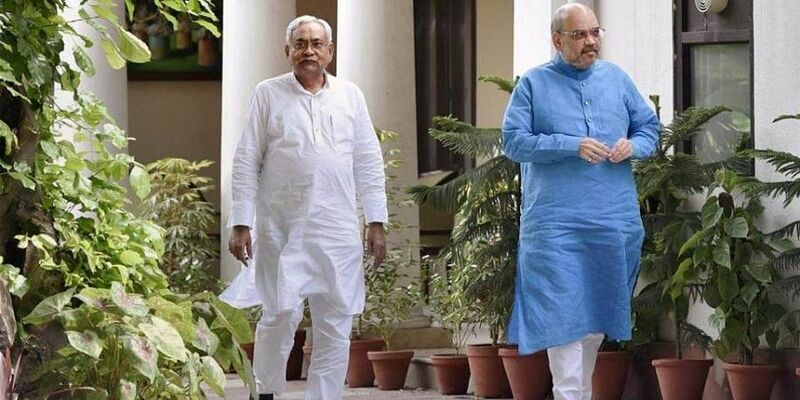 Sources said Bihar Chief Minister and JD(U) national president Nitish Kumar has been unhappy over "dilution" of the law by the apex court and that he has privately raised the issue with senior BJP leaders, including BJP chief Amit Shah during their meeting earlier this month. JD(U) leaders, however, did not specify if the party would support the August 9 protests.